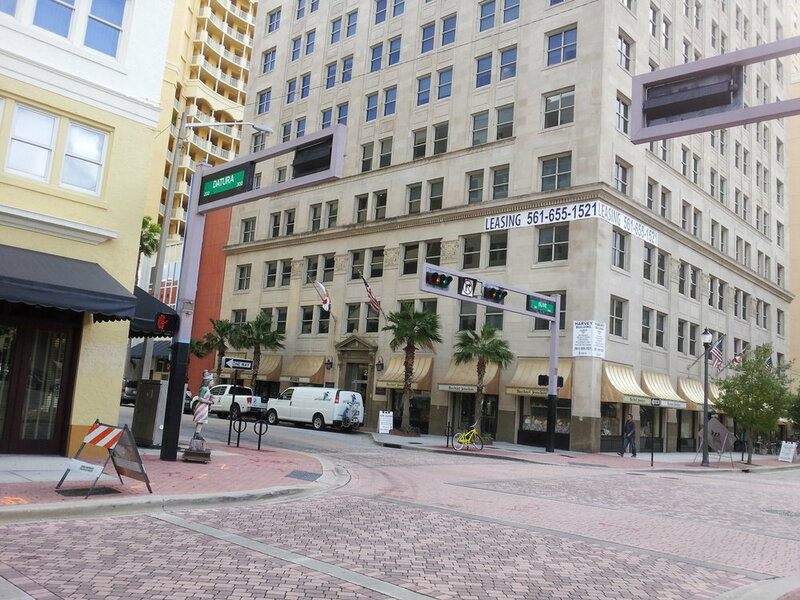 In March of 2008 I relocated to South Florida, and opened my office in West Palm Beach that April. Like many Florida residents, I come from the Northeast, starting with the East End of the North Fork of Long Island. That's where I was born, and that's where some of my family still lives. When I was a child, my parents and I moved across Long Island Sound to Connecticut, where I spent most of my life. I started my business in Putnam, Connecticut in 1993. My first reading space was a flea market booth at Risom Mill in Danielson. Then my family and I rented a huge Victorian house, and I was able to have my first reading room. I still read for many people who visited me first on Sunnyside Avenue. Soon, I outgrew my home, and needed a more professional location. My friend, local artist Gina Papen, suggested I check out her building on Main Street in the antique district of Putnam. There, my office grew into a spiritual center called "The Dark Forest." Our Wednesday night "Spiritual Night Out" series was well-loved and fondly remembered. Eventually, though, I felt my clients deserved working air-conditioning in the summer and heat in the winter. I had, by that time, started working regularly as the Resident Psychic and morning show fill-in at Q105 radio in New London, so it made sense to move the office to a convenient location in Central Village in May of 1999. It was there that Tarot Circle was born. I did't quite realize it then, but I had already begun the slow, steady march south that would finally bring me to West Palm Beach! The next step was my family's move to New London, CT. We loved living downtown on Starr Street, near the waterfront and the library, all the great restuarants, and my childhood home just a ferry ride away! I was lucky to find office space in Niantic, in the same buiding as Abintra Healing Arts. After I left there, a new spiritual center opened where the used book store used to be. There must be something about that old A-frame building that spiritual seekers find attractive! When my mother was diagnosed with cancer in 2004, my family quickly relocated to our family home on Dad's side in the Pocono Mountains of Northeastern Pennsylvania. I opened an office in Mount Pocono, started a Pocono Tarot Circle, and began the process of commuting back and forth, between Connecticut and Pennsylvania. My Mom's cancer progressed quickly, and she went to join my Dad in spirit, leaving us the family home in Pennsylvania. Soon we had fixed it up enough to close the office in Mount Pocono and welcome clients and students into that amazing hundred year old Craftsman home. While I missed my parents terribly, being in their home was very healing and comforting for me. In Connecticut I saw clients, taught classes and gave workshops at the Radisson Hotel in New London, the King's Inn in Putnam, and the Comfort Inn in Mystic. Hundreds of clients in Connecticut, Massachusetts and Rhode Island hosted psychic house parties with me. Evelyn Maskell of By the Shore Embroidery hosted Tarot Circle once a month. Meanwhile, business in the Poconos, New York and New Jersey was growing as well. The move to Florida was something I always knew I wanted to do, but wouldn't do as long as my parents lived in the Northeast. While leaving my friends, students, and clients in Connecticut and Pennsylvania was one of the hardest things I have ever done, my spirit has always been called to the sub-tropical land of sunshine. I have been so happy that so many clients and friends have kept in touch on Facebook, and have made the transition from in-person readings to phone or Skype readings. The support over many years of my very first clients means so much to me. In some cases, I am now reading for young adults whose births I had predicted! Here in Florida, my first office in the Harvey Building in downtown West Palm Beach was a great place to do readings, hold classes, workshops and, of course, Tarot Circle. Even though this office is closed, I still make several trips each year to visit my friends in Palm Beach County. And now I live in Lutz, Florida near Tampa. After two years here, I have opened an office within Origins Spa and Wellness. I work with people from all over the world on Skype and phone, and in person in my Tampa Bay Area office. Have I finally found a place to settle down for a while? Yes! Will I be pulled even further south before long? Not even the psychic knows the answer to that one. I try to go where I feel Spirit is leading me. I am so grateful for all the people I meet along the way, and for the opportunity to serve clients both in person, and worldwide. Did you visit me in Putnam, Connecticut? Perhaps I read for you in Mount Pocono, Pennsylvania.